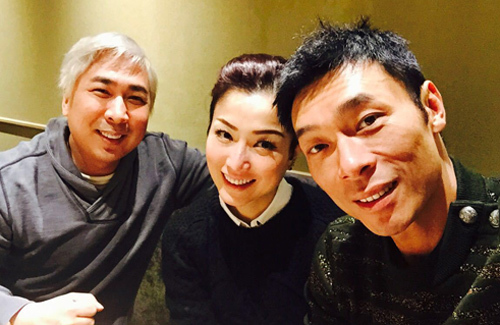 Sammi Cheng (鄭秀文) and Andy Hui (許志安) were in an on-again, off-again relationship for 24 years. In 2004, the couple shockingly announced that they had broken up. But love always finds a way; Sammi and Andy reconciled their differences in 2011 to the delight of many fans. Reports claimed that the couple had secretly registered their marriage in Bali, Indonesia in November 2013. After Andy proposed seven times over the years, Sammi finally overcame her fear of marriage and accepted his proposal. Andy’s patience and love gave her courage to take this step in life. They also have a mutual consensus to adopt children one day. Although the couple did not like to openly talk about their marriage, there were signs that they had already settled down. When Andy’s brother passed away in 2014, the couple sent a wreath to the funeral and signed as “younger brother and sister-in-law.” This further fueled the marriage rumors. so happy for them tbh. Whether or not she admits it, everybody knows it already. Hahaha~ they are meant to be together. It almost feels like they’re the HK version of Beyonce and Jay-Z, everyone wants to know their business but they still manage to keep a large majority of their life private haha.